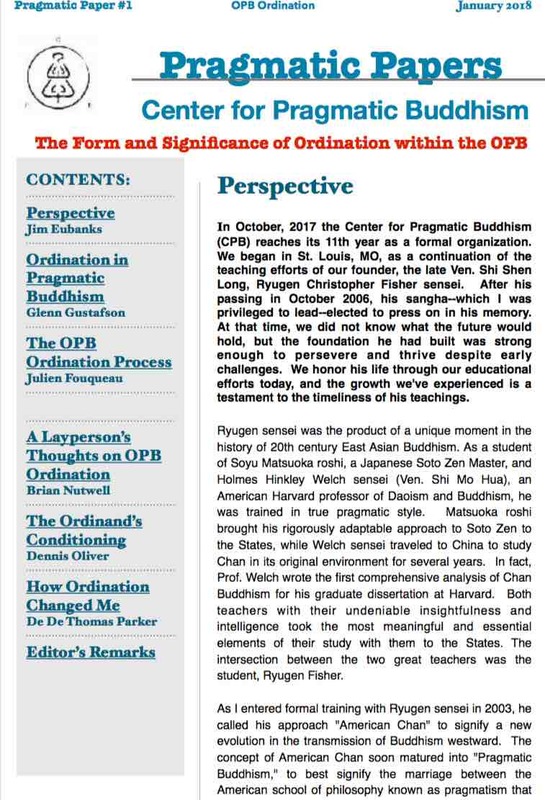 Read more about Welcome to the Center for Pragmatic Buddhism! We hope you enjoy it! Thanks to Dennis Oliver for putting this together, as well as Jim Eubanks sensei, Glenn Gustafson sensei, Julien Fouqueau, Brian Nutwell, and DeDe Thomas Parker for contributing content. Ever wondered why someone would enter Buddhism as a monk? The conventional answer might have something to do with enlightenment or nirvana or something. Still the question remains as to WHY they seek those things. Someone seeks enlightenment and/ or nirvana because s/he has recognized that life as it is lived by the masses is vastly problematic and unsatisfactory. Someone entering the monastic life is seeking something better. However, life in our contemporary world does not lend itself to hermitage. We live ever more connected lives. Some will continue to seek sanctuary in a monastery, but is this the only option - seclusion? No. Your life can be your monastery. Zazen as it is known in the Japanese Zen tradition, is the practice of “just sitting in mindfulness.” It is not a matter of “stopping” the mind, but rather allowing the practitioner to become aware of his or her own thoughts, so that benefit can be had from a more intimate awareness of one’s present condition. The practice of sitting meditation allows for a relaxation and deep calm to result in the practitioner. The simple attention that results from just sitting allows for a nonjudgmental awareness of one’s circumstances, so that fewer negative mental labels are attached to one’s experiences “out in the world.” The practice of just sitting is most beneficial because it is readily employable in stressful situations in one’s everyday life. As you sit, simply "watch and be present." In Pragmatic Buddhism, our primary tool for generating a deeper understanding of our world is the practice of awareness cultivation, or mindfulness meditation (zazen; "just sitting"). This is a method that has been used since the time of the historical Buddha—Siddhartha Gautama—some 2400 years ago. Mindfulness practice is an intentional, non-judgmental embracement of our own personal contingency and the experiences we have of our world. It is the moving away from a state of average everydayness, where we are largely unaware of our motivations and habits of bodymind. In mindfulness, we engage our world directly and, becoming aware of it, accept it for what it is: a world of causal relationships that are made possible through an interconnected, interdependent reality. 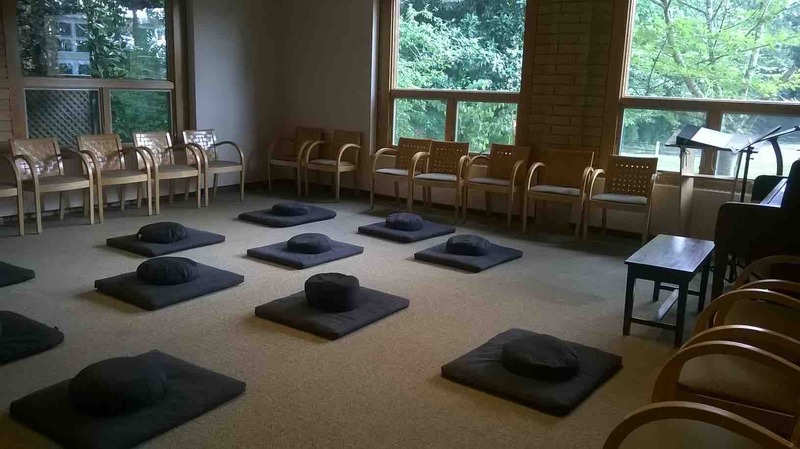 The Center for Pragmatic Buddhism does not charge for any services, including formal training. However, if you've received value from CPB and would like to make a donation to support our practice, you may do so below. Donations go to help cover the costs of our local chapters, including rent for space and meditation supplies. Your donation will also support the practice of formal students, including costs associated with our biannual retreats. All donations are tax deductible, as CPB is a 501(c)(3) organization. Thanks in advance for any contribution that you can offer!